Start with Fiber Friday and the Bonfire Kickoff Party. Then join us on Saturday or Sunday to watch the harvest. Go on a free, hayride farm tour, feed and pet the animals, buy Mayhaw jelly in our Country Store and picnic with beautiful pasture views. This is new! Bobbie is getting more involved with the art and craft of fiber making, and we want to invite everyone, far and wide, to come share, learn and enjoy with us. On the Friday afternoon before the Festival, fiber enthusiasts from the region will be gathering to practice and demonstrate everything from teasing and carding wool to felting, weaving and spinning. We’ll have one of our dryer ball making classes, where you’ll learn wet- and dry-felting and go home with your own set of lamb-faced dryer balls. As the evening before the Mayhaw Festival approaches, we all like to gather around a bonfire to tell stories, listen to music and enjoy the Spring weather. We’ll supply the marshmallows, you bring your own picnic and BYOB. And don’t forget your stories and family-rated jokes, and your guitar, harmonica and drums for this fun, free party. As the Festival approaches, there are always questions of how good the harvest will be, if there even is one (! ), and will the berries ripen on time! We like to share the anticipation with you. Final Update 9 May 2018: The harvest is pretty much done, and we only have about 22 gallons. 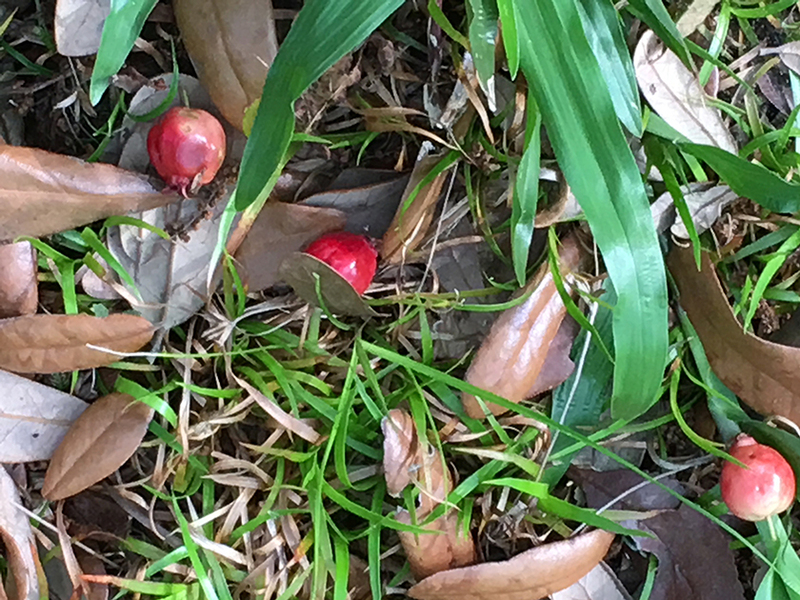 So, another year of no Mayhaw Berries for sale from us. We’re still going to have a great festival, though! It’s a great ranch and farm experience for the whole family, we have plenty of Mayhaw Jelly, and this year, you can buy your own Mayhaw Trees. It is a myth that they have to grow in water. They’ve always been found in wetlands because they can’t tolerate fire, and fire is a natural occurrence in Florida forests. 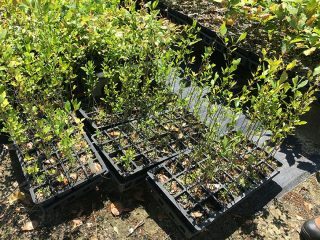 Planting some of your own trees for the future is a good idea. They do best in full sun with normal fruit tree watering. 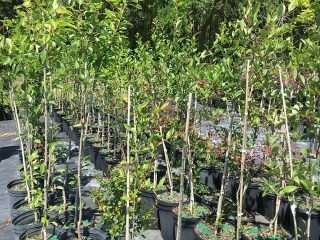 They make a good landscape tree since they don’t grow more than about 40 feet, do not have invasive trunk or root system and are such a pretty shape. You don’t need more than one for pollination, but you can expect a better harvest if there’s more than one. 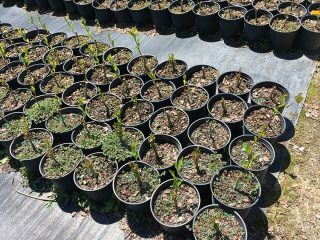 We have some 3-gallon seedlings and 1-gallon grafted liners for $15. 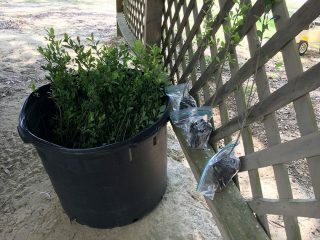 The grafted planted are harder to produce, but you get a more consistent result and bigger berries. Seedlings are more unpredictable, although Mayhaws tend to grow pretty true to their parent. 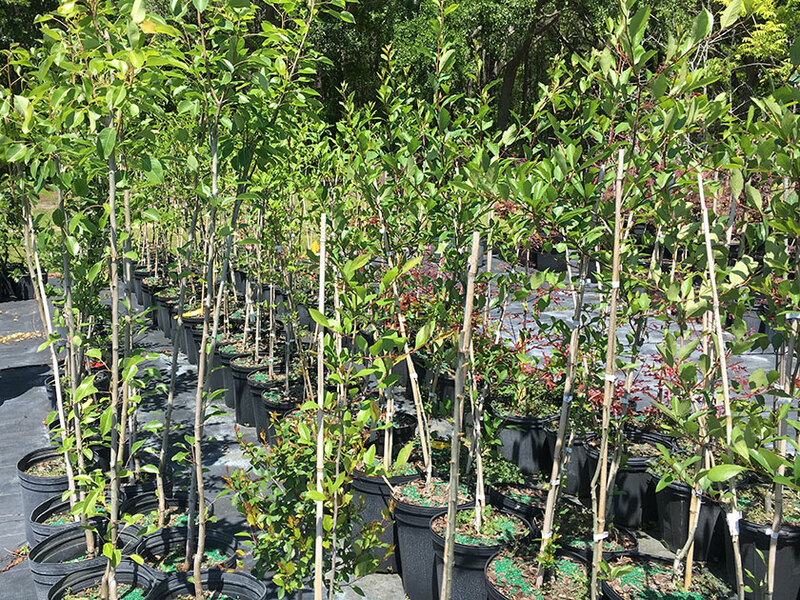 We have 4-gal, 2-year-old trees grown via grafts and named ‘Select Reds’ and “Double G.” They should start producing next season and are $30. On Saturday and Sunday, come any time from 10 am to 4 pm to enjoy the ranch, pastures, livestock, vendors and games. 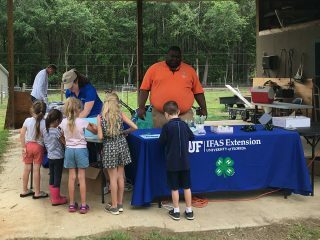 There’s plenty of farm fun for all ages. Our hallmark feature, hayrides happen every hour or so. Just listen for the bell! Hear the newest stories about what is going on at the ranch, and stop at all the different fields to see sheep, goats, dogs and the Mayhaw stand. Bring the whole family for a country ride on the wagon. It is always fun! We’re saving our bones and making dinosaur eggs for our new Archeological Dig! This is for the kids. We’ll give them buckets and brushes so they can unearth educational surprises. You can feed all the animals on our ranch with feed that we sell. The petting area itself is for baby animals. We’ll have December-born lambs and goat kids born in December and March. And maybe we’ll have new Great Pyrenees puppies! We’ll have to see how they, and their Mom are with people by the time of the Festival. Fiber Friday continues on through the weekend with lessons, products and practice for anyone who wants to who cares about how fiber is made. Still swinging, and still in action. It is always popular with young children. 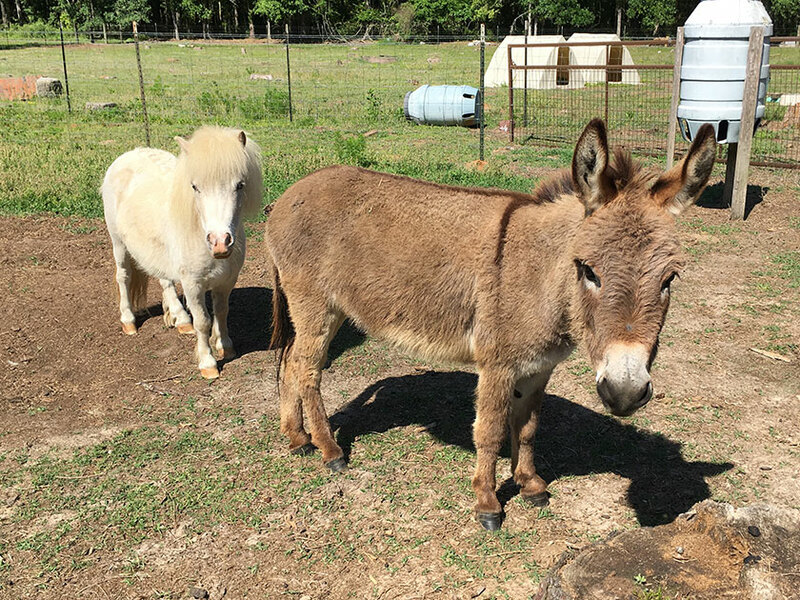 Come meet and pet our friendly mini-Horse and mini-Donkey, Tyrion and Cookie. 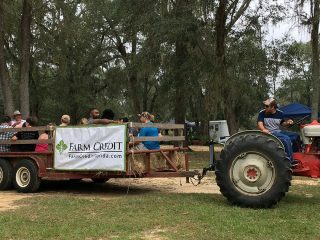 Farm Credit of Northwest Florida supplies the Corn Hole boards again this year. Come and learn skills and techniques from local artisans and experts. Whether you are a novice or an expert yourself, there will surely be something new for you to learn about farming, ranching, crafting and growing. Tony Hogg of Full Moon Apiary will be giving an open hive demonstration using the hives they have supplied to us this blooming season. You can ask your honey bee questions of this long-time expert, and buy their honey at their booth. 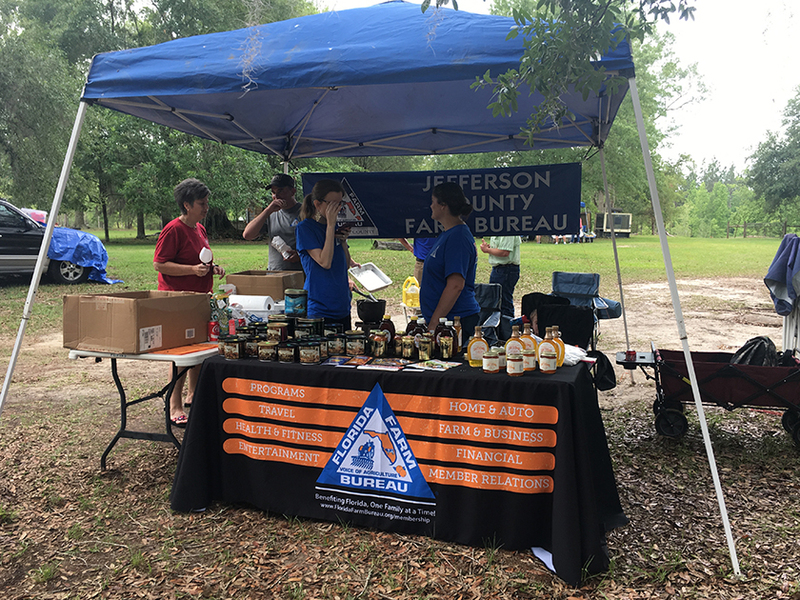 Jefferson County Extension agents will be here to answer all your weed, seed and bug questions. They will be conducting hands-on, youth projects at the tool room carport. The Extension provides practical education you can trust. They help people, businesses and communities solve problems, develop skills, and build a better future. A crew from the Fire Department will be near the Welcome tent doing safety demonstrations. Kids can climb in a real fire engine, wear real fire gear and talk to fire men and women on Saturday and Sunday. The Monticello Volunteer Fire Department (MVFD) comes to all our festivals. They are always so helpful setting up, bringing extra tables and chairs. Thanks guys and gals! You are our heros! Wonder Dog and Mascot, Thor, will be here, too. He is the big white Great Pyrenees that lets everyone pet him and the children hang all over him. There’s always a saddle with pockets for greatly appreciated donations. 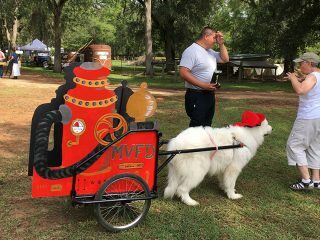 He is a special and well-loved civic volunteer as is our friend, owner and handler of Thor, Faye Prichett. Be sure to look for Faye’s Cryptic Creations, too. 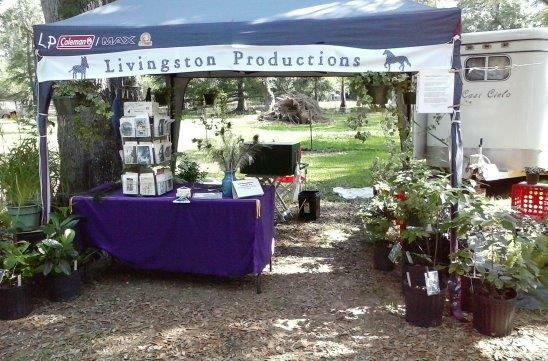 The local garden Club will be here to talk plants, bugs and componst with you. They are selling Atlas Garden Gloves. The bright colors make them easy to find when you put them down. They are prctical, and washable when dirty after a day of gardening. 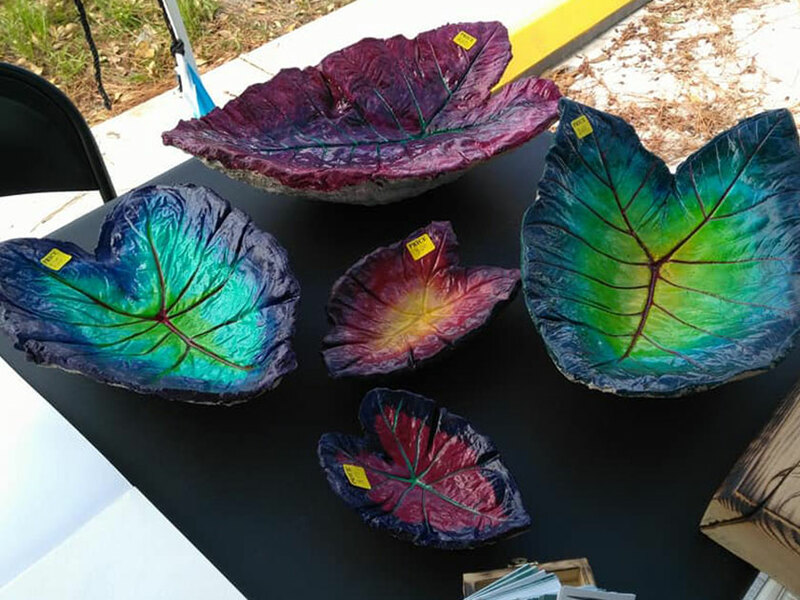 They are great gifts for all your gardening friends – and they support the local 4-H.
Do you want to support local growers, producers and artists? So do we! Small town, rural and agricultural life is not something everyone knows much about. You and your family are sure to enjoy seeing and learning about the work of these special people. Heather does free-hand wood burning (no computers or laser burning here!) 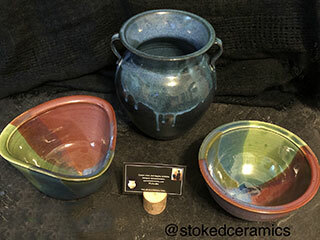 artwork, watercolor and acrylic paintings, framed sketches, as well as concrete leaves that she casts by hand, then paints and weather seals to make perfect bird baths or feeders. I also do live-art, where I take commissions and requests on scene and draw while people watch. Rebekah comes from Madison, FL where she lives, home schools her daughters and paints abstract and impressionism in acrylic. She will also have essential oil products. Becky and Tony Hogg of Full Moon Farm will be here with their honey products and an open hive demonstration at 11 am Saturday. Full Moon Farm is a small farm in Jefferson County, north-central Florida. 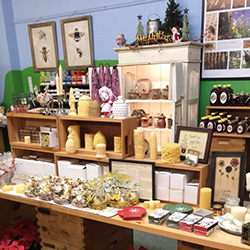 They produce honey, make beeswax candles, natural soaps and lotions, and provide pollination services for area farmers. As their collection of bees and equipment has grown, so has their passion for the amazing honeybee and the wonderful products they provide. 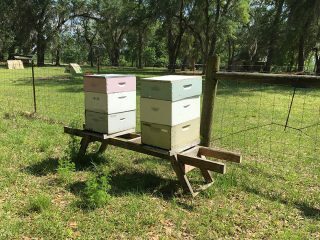 Their beekeeping philosophy is to maintain colonies as naturally as possible. 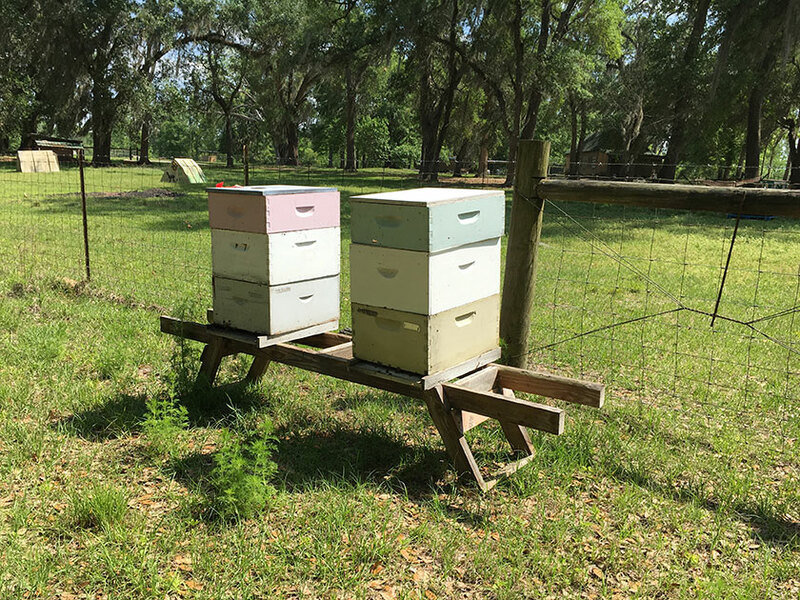 They use essential oils and natural ingredients to help maintain hive health. 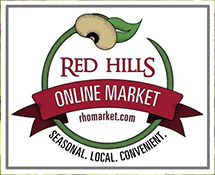 Stop by and see what they have to offer and learn a little about the amazing Honeybee. P.S. They also breed AKC Airedale Terriers, so you ask about that amazing breed of dog, too. Melissa, the owner of Sweetbay Soaps, will be here again with her lovely products. All of the soaps are homemade and hand-cut. She has added some new items – lip balm and bath salts. Come and enjoy a visit with Melissa to choose your favorite scents. Sweetbay Soaps is a regular here at our festivals. She always has many different products to choose from, including their famous olive oil soap, goat milk soap, body scrubs, candles, lotions and gift baskets. Part of the proceeds from Sweetbay Soaps go to support the Jefferson County Humane Society. Faye, who is also the owner and handler of Thor, the Wonder Dog, will be here with her handmade jewelry, Pom Pom Pals, Mini Mates key chains and crocheted items. Satsumas are a taste of Sweet Sunshine! Squeezed fresh on their family farm, Florida Georgia Citrus’ juice is safely and sustainably preserved using high pressure processing which keeps the taste as fresh and natural as possible. They will be here with their homegrown Satsuma jelly and syrup, and Satsuma juice. Be sure to ask about all the surprising ways you can use Satsuma Jelly and Syrup. 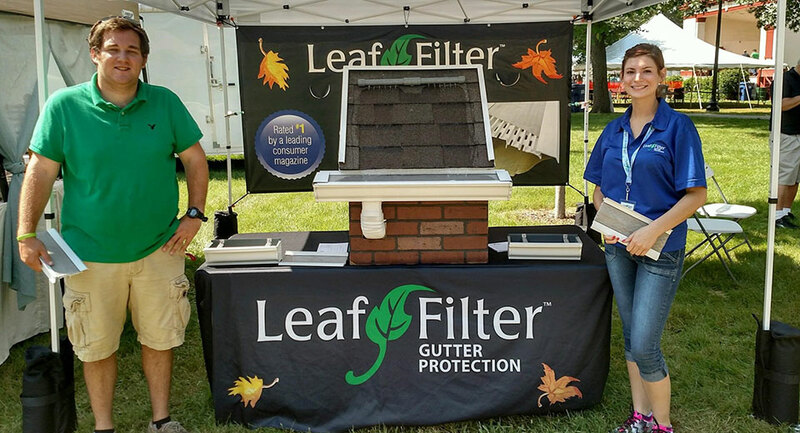 Talk to Chris Clapper and Grace Ritchie about permanent relief from clogged gutters. Bobbie met Chris recently and was impressed by all the features of this gutter guard, so we invited them to come show us their product. 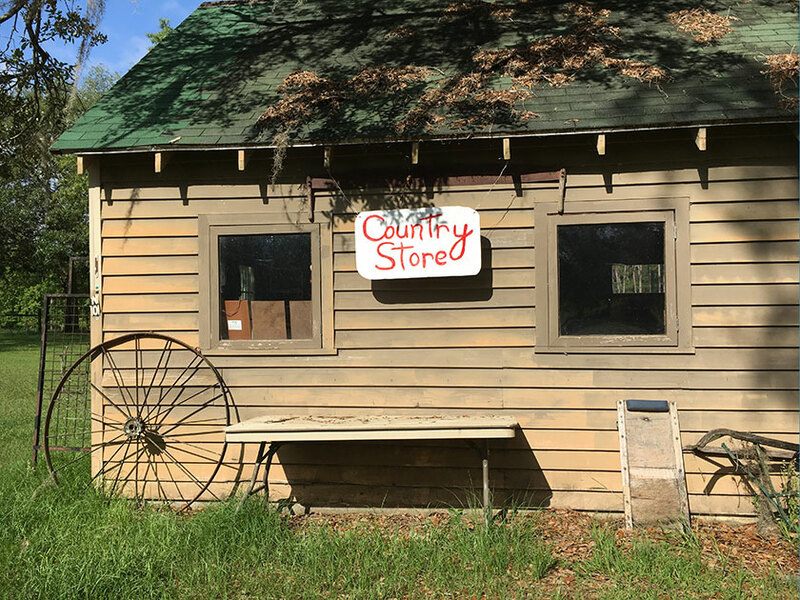 Our small Country Store is where you’ll find our homemade Mayhaw Jelly and USDA-apporved goat and lamb. We also stock Full Moon’s honey, some of Sweetbay Soaps best scented soaps and notecards by our friend and local artist, Melinda Copper. We sell Mini-Myotonic Fainting Goats as pets and registered stock. The kids are beginning to be old enough to go to a good home. Pick one out and put down a deposit. 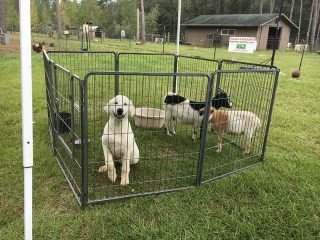 We also breed Great Pyrenees livestock dogs for sale. They are a working breed, and need to go to a home with an outdoor job to do. We have 10 brand new puppies on the ranch now. They won’t be ready for a couple more months. Talk to Bobbie about which ones are left. Our livestock sells fast, so be sure to get on our mailing list to be notified of availability. 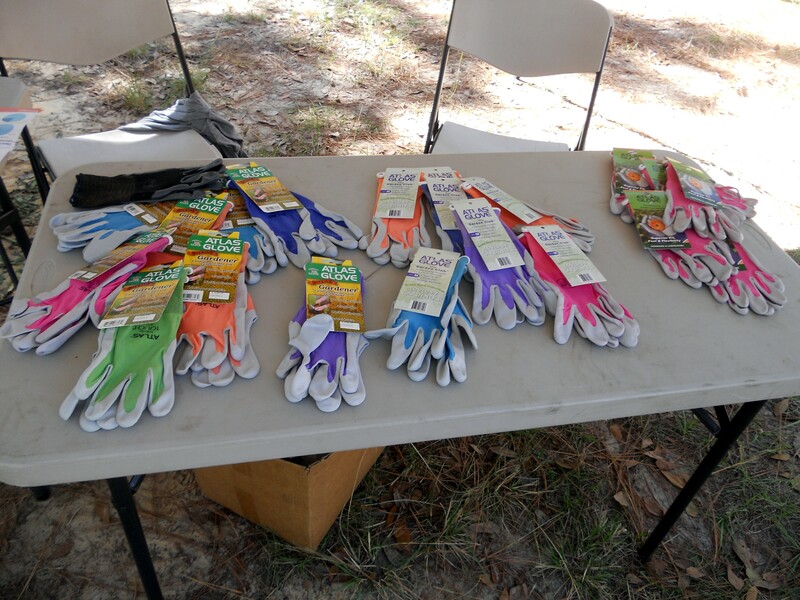 Golden Acres supplies ranchers and farmers throughout the region with a variety of useful products. Right now we have the following items available. 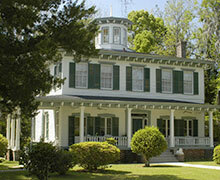 Come for a lovely day trip in Monticello, or consider making it a weekend in Jefferson County. There are always wonderful things to see in addition to the Mayhaw Berry Festival. 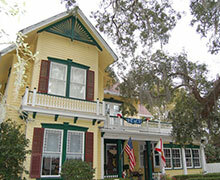 Tour the many heritage roads. Start at the Courthouse in the roundabout and go any direction to find historic homes and buildings which include the Opera House and the Old Jail Museum. The Monticello Jefferson County Chamber of Commerce or Visit Jefferson County are the best places to start when planning your weekend. The Monticello Annual Bike Fest, sponsored by the Chamber of Commerce, is on the Saturday morning of the Mayhaw Festival. Race, or enjoy a casual ride at your own pace through Jefferson County’s beautiful canopied roads on a lovely spring day. 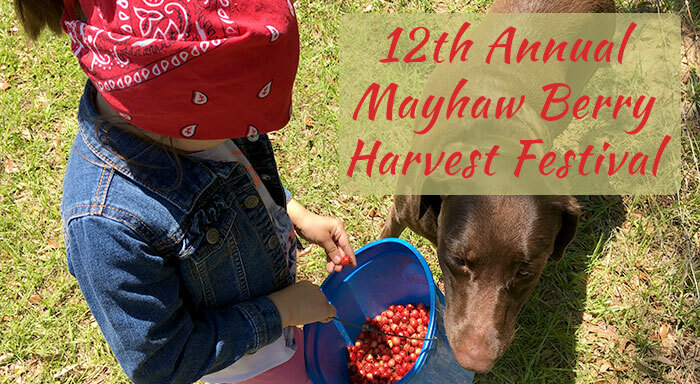 Then come out to the Mayhaw Festival for some local food and fun. If you are with Harvest Hosts, call ahead and a reserve your spot. Want a ‘working vacation?’ We can accommodate! Thank you to our wonderful sponsors without whom we could not provide this great community event! GPS is getting better about finding us! 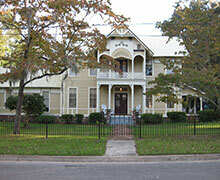 Monticello is just east of Tallahassee with easy access off of I-10 or US 90. Our ranch is just 17 miles south of Thomasville. Check the driving directions on our Visit Us page for specific information. 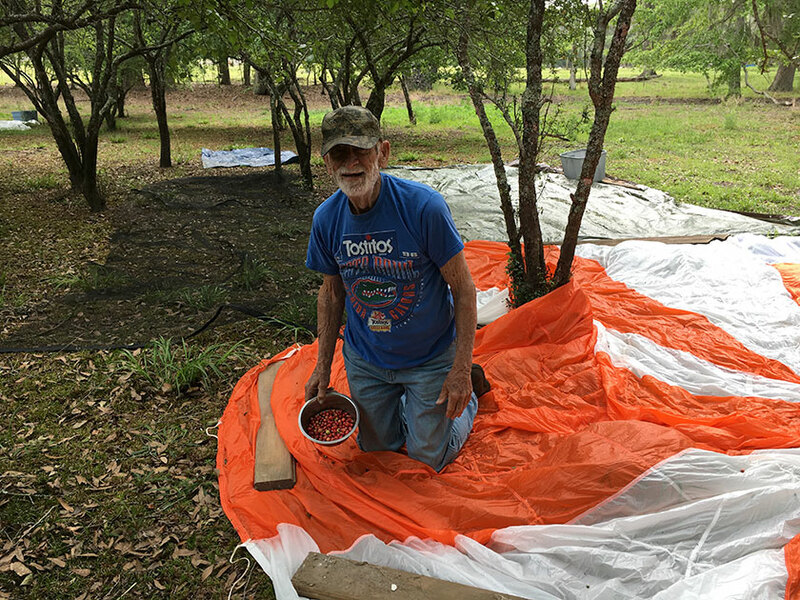 Update April 24th: Fred and Bobbie went out to harvest berries at the trailhead of St. Marks Riding Park in Tallahassee. There are four beautiful trees whose berries will just go to waste!